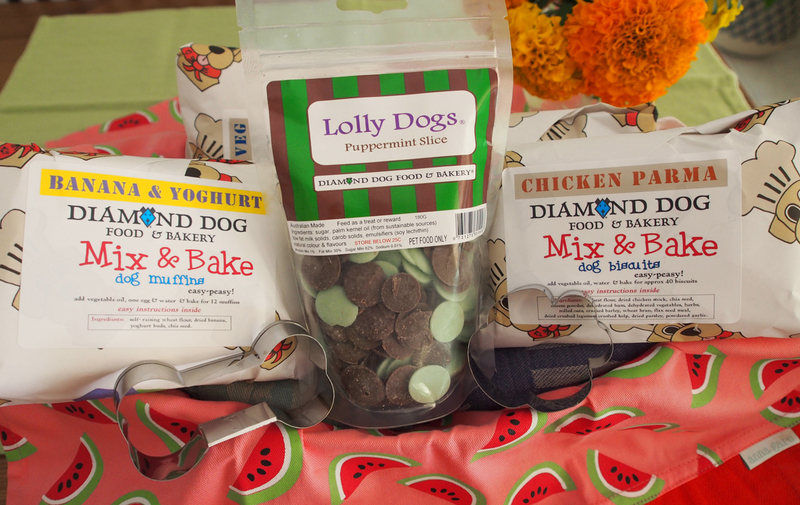 Diamond Dog Food & Bakery just released an exciting new flavour combination of their dog-friendly lollies for our furry friends. Lolly Dogs Puppermint Slice is the latest in this popular range already including irresistible flavours like Banana, Strawberry, Carob, Vanilla and a combination of the above in their top selling Party Mix. These lollies are certainly a hit with our pack and the perfect summer dog treats (small and refreshing) when kept in the fridge. Alice and Philip, along with their Golden Retriever, Monty established Diamond Dog Food & Bakery in 2010. 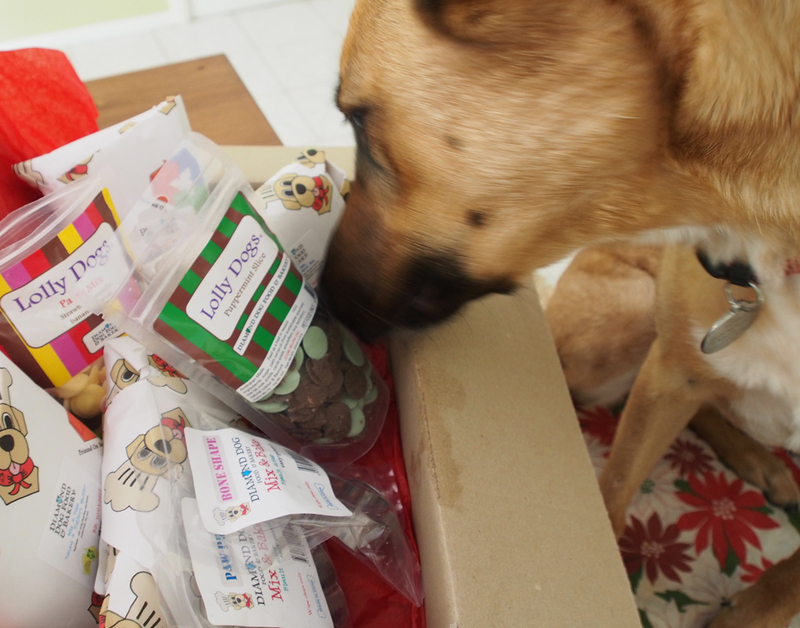 This Australian independently run business is all about one thing: fantastic dinners and treats for your dogs! In only a few years Diamond Dog Food & Bakery has become a much loved and trusted brand by thousands of dogs and their owners all around Australia. Lolly Dogs Puppermint Slice uses only natural ingredients: sugar, palm kernel oil (from sustainable sources), low fat milk solids, carob solids, emulsifiers (soy lecithin), natural colour & flavours. Also available are Dinner Mixes, Mix & Bake dog biscuit mixes, dog treats, eatable cards for special occasions etc. RRP: $8.98 for a bag (180g) of Lolly Dogs Puppermint Slice.